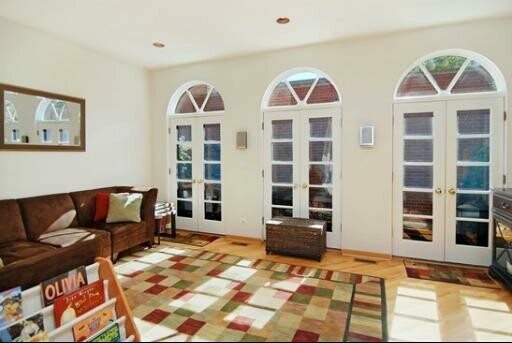 Rarely available, all-brick construction Lincoln Park 3-story town home. 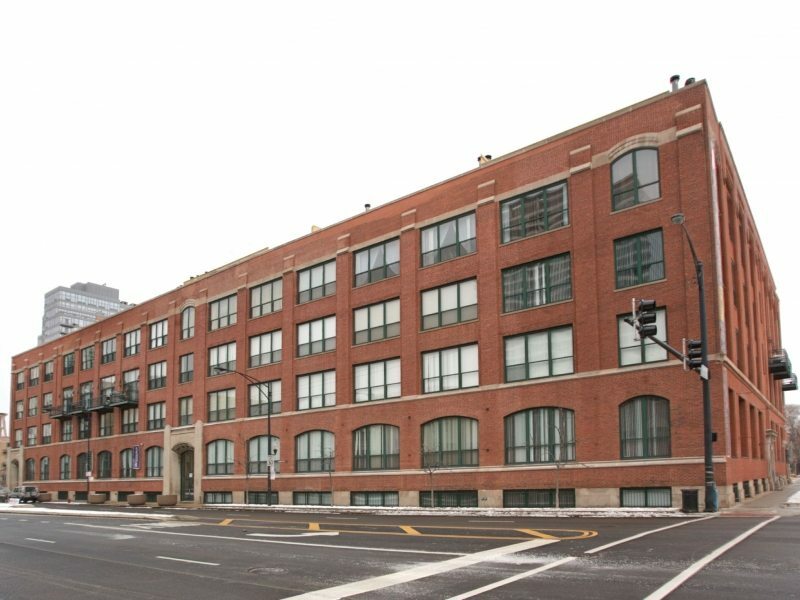 Located in Chicago’s bustling Lincoln Park. 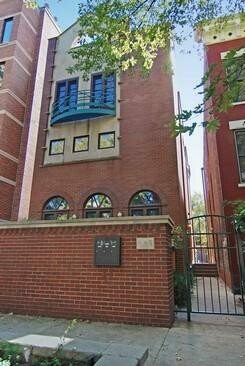 1 of 2 units on Chicago lot, it lives like a single family home. 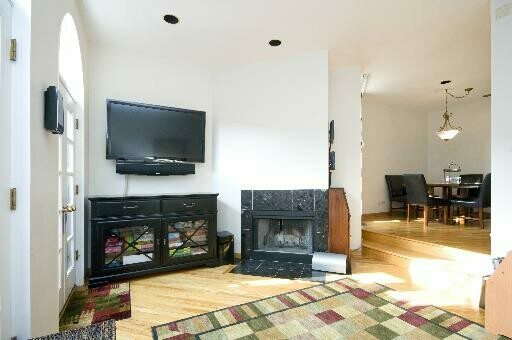 2172 square feet including a finished basement. Tons of natural light. 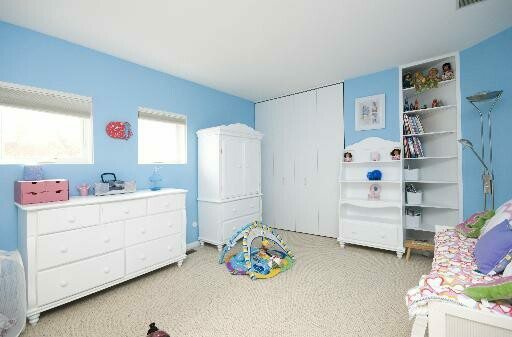 Open floor plan perfect for family and entertaining. Top floor master suite with office and private roof deck access. Two car Garage parking. 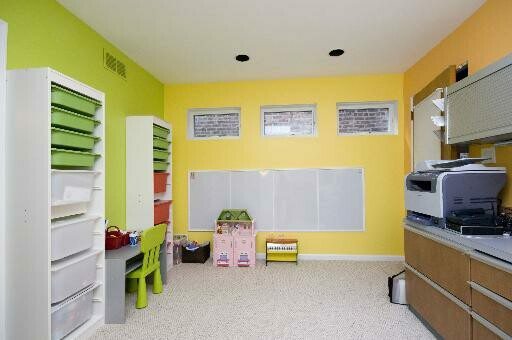 Tons of storage. No assessments. 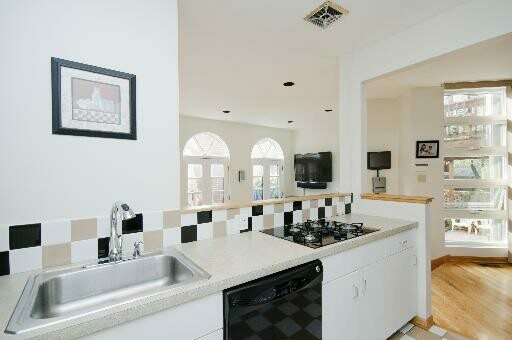 Walk to parks, zoo, restaurants and train. On the first floor of this excellent floor plan you will find an openly laid out living room which features three sets of french doors opening out onto a private back deck large enough to entertain a considerable gathering. 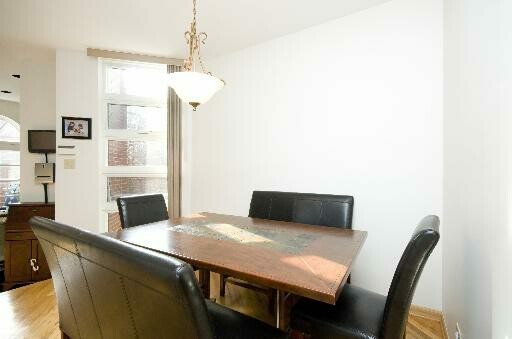 Adjacent to the living room and the kitchen, the dining room is conveniently located. 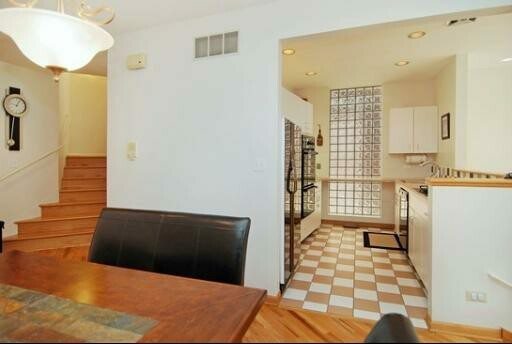 The kitchen has been opened up to overlook the living room and improve the open feel of the first floor. 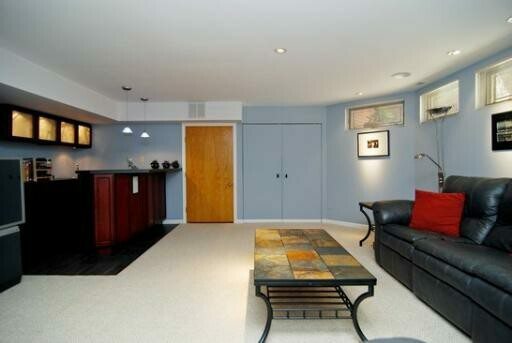 This fully finished lower level features a wet bar, pre-wired sound with recessed speakers, extra storage, and an enormous side room with a vast amount of storage space. With a fireplace and two sets of French doors which exit out onto a private balcony, the master bedroom has ample space for any sized bed plus furniture. 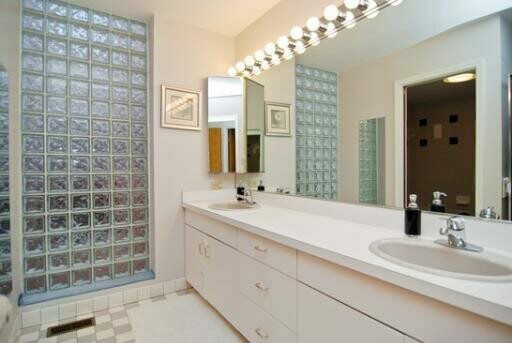 Well laid out with ample counter space, dual vanity, separate tub and shower. 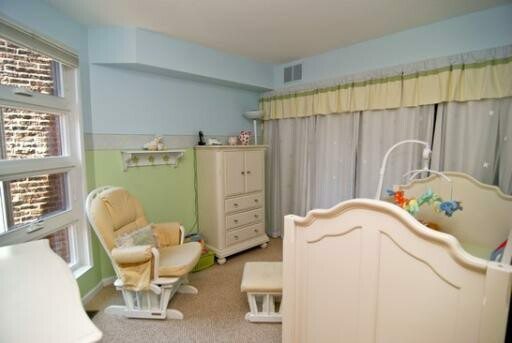 Located on the second level the very well sized the second bedroom offers space to rival that of the master and the third is perfectly sized for an office or nursery. 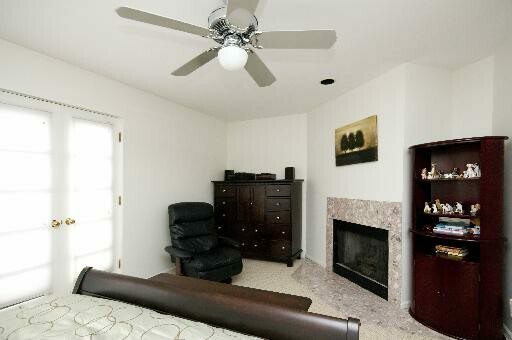 The office/den area is located on the third level off of the master suite and very spacious. 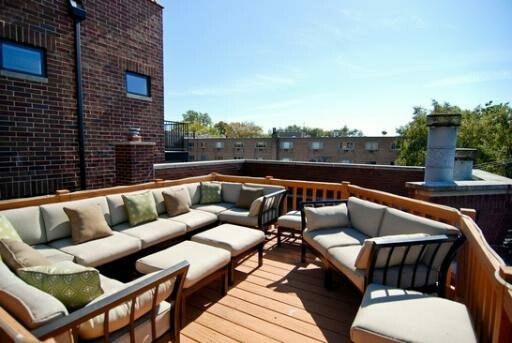 The private rooftop deck is large enough for an entire furniture set and affords a view of the Hancock, Willis Tower and the Trump.